Today’s all about our bookish wishes for the Holiday season! Now, obviously the biggest joy about the Holidays is spending time with family and loved ones (well, it may not be for everybody, but I actually do love family gatherings. Mostly.) and soaking up the festive atmosphere. But I can’t deny that getting presents is also part of the fun. Bookish presents especially. I’m actually pretty easy to shop for since I make my wishlist months in advance *oops*. 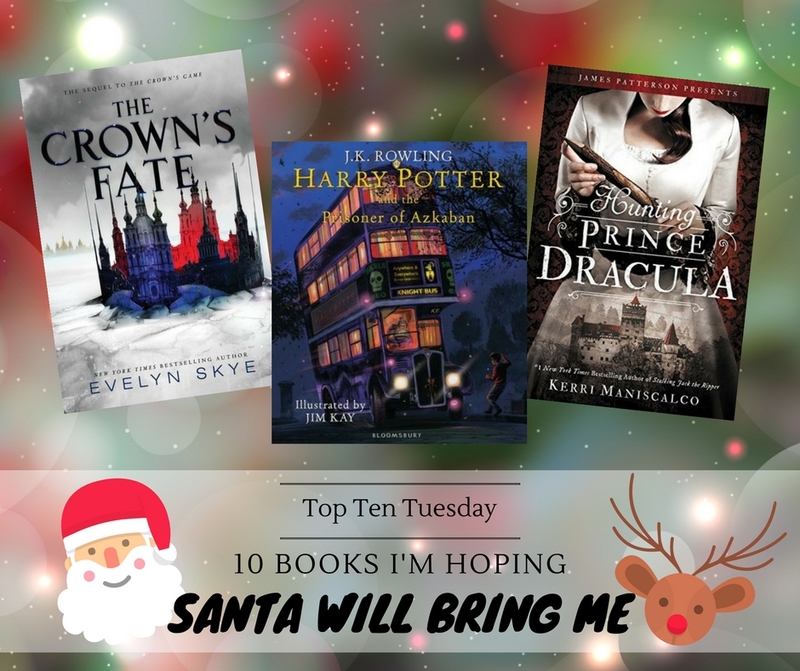 So here are a few of the books that are on this years’ wishlist for Santa! 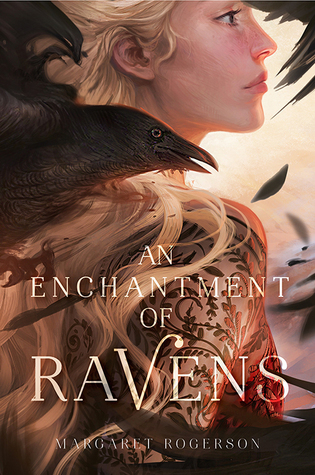 Fae princes shapeshifting into ravens. Art as power. Romance. Of course I’m in! Add a gorgeous cover and I would just really love a copy on my shelves to admire. I fell head-over-heels in love with the Shades of Magic trilogy by V.E. Schwab, but unfortunately I haven’t yet read anything else by her, so obviously this must be remedied. Please, Santa? After procrastinating waay too long before reading Illuminae, I have found myself procratinating again on the sequel. Perhaps if Santa got it for me, I’d stop procrastinating? It is a truth universally acknowledged that one can never have enough Harry Potter editions. Not to mention, these are just so gorgeous! Say Lindsey, you’ve been going on and on about this series for about a year now, why are you still hoping Santa will bring it to you? Well yes, I have the ebook versions and have already read them all. But some series you just love so much, you want to be able to hold them in your hands. To smell them. To look at them fondly. To pet them. I just want a physical copy, okay? 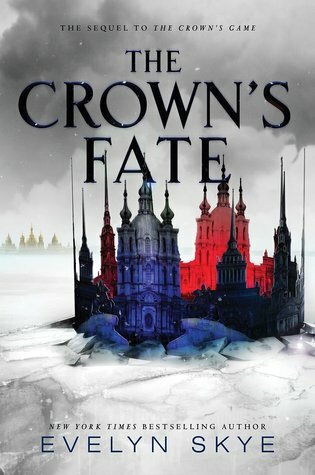 I adored the first book in this duology set in a fantasy tsarist Russia, yet I still haven’t read the second part? This just can’t be. 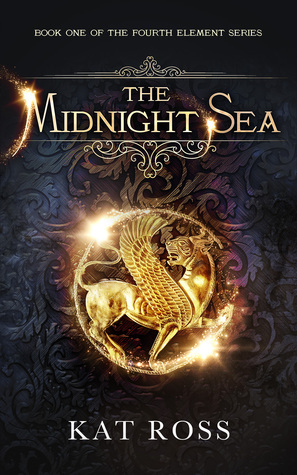 This fantasy sounds absolutely gorgeous and I just really hope to read it soon! WHAT Books are you hoping Santa will bring you? 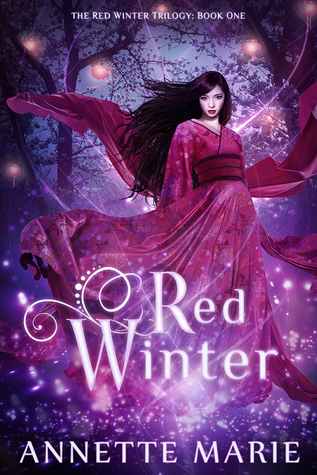 Red Winter definitely has some beautiful covers 🙂 Hope you’ll enjoy Wonder Woman and that Santa may still bring you that illustrated HP after all 😉 Merry Christmas! 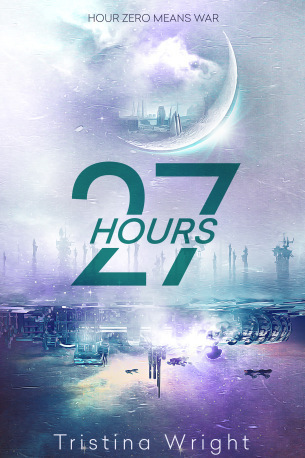 27 Hours looks great too. I initially had the illustrated edition of Azkaban on my list as well but hubby was so nice to gift it to me already in November. 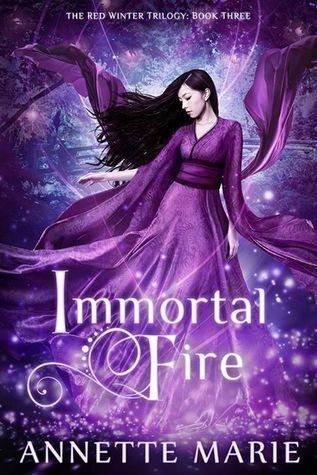 <3 I have the epic crush of genie lo on my list despite having read it. I read an e arc but I desperately want a physical copy. 🙂 So I completely understand. That’s such a nice gift, plus it leaves some room for another book on your Christmas wishlist 😉 Oh I haven’t read the Epic Crush of Genie Lo yet, but I should definitely look into that one! I still need to read Hunting Prince Dracula! I totally get what you’re saying about needing the actual BOOK books of a series you love! 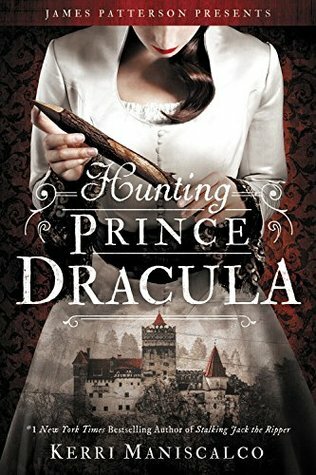 I’ve never heard of Hunting Prince Dracula or Stalking Jack the Ripper before, but that cover is gorgeous and I’m already into it. I guess I hope someone brings me that also!!! Santa (basically my mom) is finally giving me Geminaaaa and I am sooo freaking excited!!!! I started the Crown’s Game and I hope to get The Crown’s Fate as a New Year gift!!! And I hope you enjoy Wonder Woman when you pick it up, it was definitely an enjoyable read! Happy to hear you enjoyed Wonder Woman, hope I’ll get to read it soon as well. So many great books on the list! I finished Vicious last week and it’s one of the best books I’ve read this year! Hopefully you’ll soon get your hands on this one. 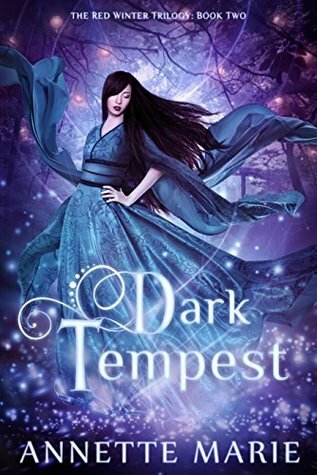 I’m sure if you loved the Shades of Magic series you’ll love this one too! The illustrated Harry Potters are so pretty! I can’t wait to collect them all! I still haven’t read Wonder Woman but hope to remedy that soon. So many good looking books here. Hope Santa comes through! Yes, me too 🙂 Hope we’ll both receive some great books from Santa! I saw the Fantastic Beasts illustrated book at my local bookstore the other day and browsed through it. It was so beautiful! But I still would prefer to get the other illustrated books in the Harry Potter series. A History of Magic looked gorgeous too. I just LOVE Jim Kay’s style and how intricate they are. It was just the new addition we needed to the Harry Potter fandom! It certainly enhances the experience, and it is so worth it. Good list!! I hope you receive all the books you want this year. Happy holidays!! I loved Vicious. I hope you get all these books! 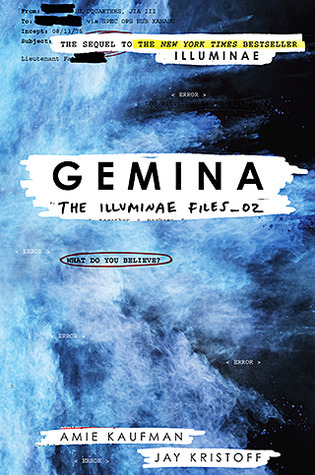 Oh, I just loved Gemina- I need the third book now! I also really loved Hunting Prince Dracula. You must get these for sure!! I have the second and third illustrated HP (well, I own them all but I’ve only read the first one). 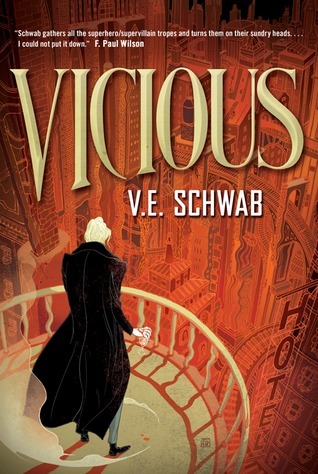 I also want to read Vicious, though I DO own it. I just really need to finish the Shade of Magic series (I’ve only read and own the first). So many books on your list that I’d love to read too! Sooo many great books! 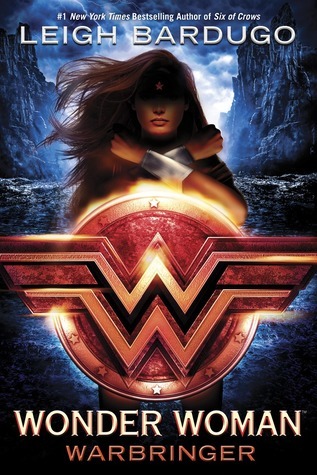 I love The Crown’s Fate, Wonder Woman: Warbringer, Hunting Prince Dracula, and Gemina! I hope Santa gives you everything you want!! An Enchantment of Ravens and some of V.E. Schwab’s books are also on my list! THEY LOOK SO GOOD. I absolutely loved Gemina! I found it even better than Illuminae, and I LOVED Illuminae. They do look soo good 🙂 Glad to hear you loved Gemina, can’t wait to get to it! 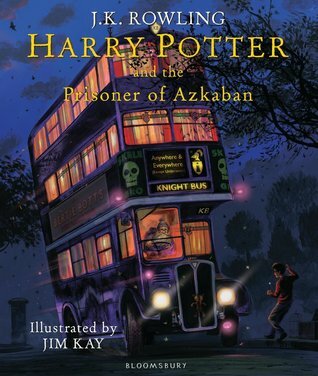 I’d love Santa to bring me the illustrated edition of Harry Potter and the Prisoner of Azkaban too. I’ve seen some of the illustrations and, as always, they are gorgeous. Also, The Red Winter triology by Annette Marie would be a great gift. Not only because the covers are gorgeous, but also because I enjoy the author’s writing and the worlds she creates. I REALLY want the Harry Potter illustrated editions. AS of now, I don’t have any of them in my collection, but that’s what I’m really hoping for this Christmas! Also, I started to read The Crown’s Game, I got about 50 pages in and couldn’t finish it because of a school conflict, but I’m hoping to get that, as well as a couple other books finished on my list by the end of this year! Good post, hope you have an AMAZING Christmas! The Harry Potter Illustrated Editions make such perfect gifts indeed 🙂 Hope you’ll get all of them! Oh, and I totally know what you mean about wanting the print copies of books you’ve read the ebooks of. It’s hard to justify it to yourself, though, or maybe that’s just me 😉 But it doesn’t stop the longing! Hope you got some of these for Christmas? !